The World Economic Forum’s Network of Global Agenda Councils comprises 88 separate issue and region focused working groups. These groups bring together some of the world’s foremost thought leaders to develop and implement solutions to big picture challenges ranging from climate change to employment. 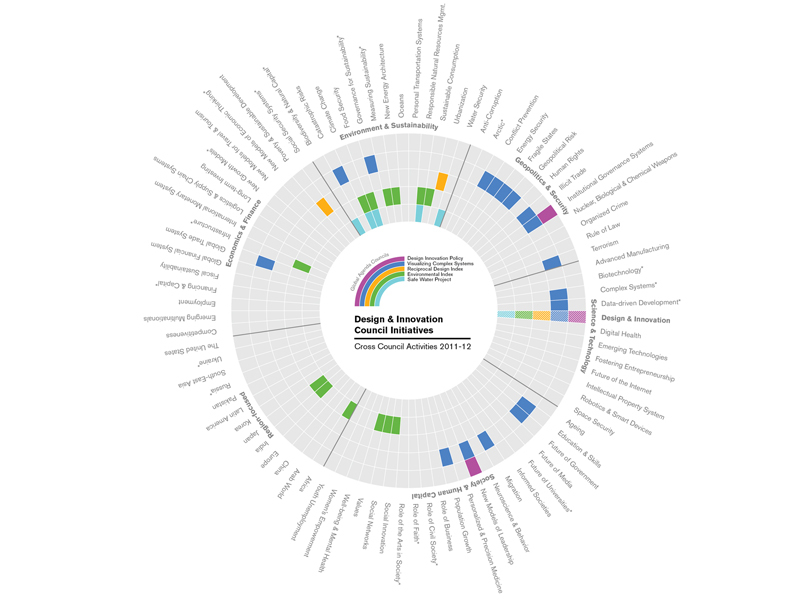 Recently, the Global Agenda Council on Design and Innovation asked VisionArc to help map out and illustrate the breadth of cross-council connections established through 5 of their initiatives during the last year. These included: a plan for a Design Innovation Policy, who’s aim is to create a new values system for design integration in the global community; a Visualizing Complex Systems initiative that creates tools to inform society through transparency and participation; a Reciprocal Design Index for sustainable social and urban design policy; an Environmental Index for creating a shared information platform for resource consumption awareness; and a Safe Water Project that entails the design of an inexpensive, hand-held filtration product to serve the needs for drinking water in environmentally challenged and under-served communities. 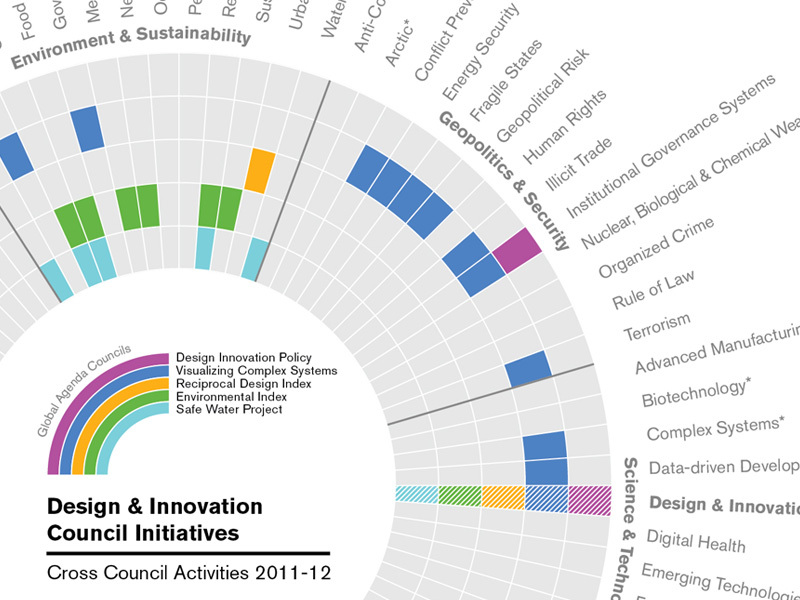 VisionArc’s mapping helped communicate the broad reach of design and its relevance, through the Design Council’s efforts, to the larger World Economic Forum community.